NEW YORK (Reuters) – The New York Times named Jill Abramson as its first woman executive editor, putting her in control of one the world's most respected newspapers as the industry struggles to keep advertisers and readers. 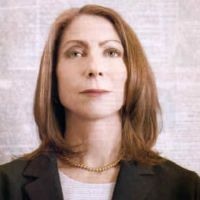 Abramson, 57, is the first woman editor to lead the Times newsroom in a new era for papers, when a generation of readers increasingly prefers to get news from online sources such as Twitter, Facebook and a host of websites. Abramson, the paper's managing editor, will succeed Bill Keller, 62, who will become a writer for the New York Times Magazine and for the paper's Sunday opinion section. Assistant Managing Editor and Washington Bureau Chief Dean Baquet will become managing editor. Both appointments are effective September 6, the New York Times Co said on Thursday. It was widely expected that Abramson and Baquet, 54, would rise through the ranks and that one of them would assume the highest editorial position at the paper. Abramson worked as an investigative journalist and covered Washington. She joined the Times in 1997 from the Wall Street Journal, now owned by Rupert Murdoch's News Corp. She became the paper's Washington bureau chief in 2000. Times Co Chairman Arthur Sulzberger Jr. said he accepted Keller's decision with "mixed emotions," and said Abramson was the best person to fill the role. "Bill came to me several weeks ago and told me that he felt the time had come for him to step down from the role of executive editor," Sulzberger said in a statement. Baquet rejoined the Times in March 2007 after serving as managing editor of the Los Angeles Times. He won a Pulitzer Prize, the nation's highest honor for newspaper reporting, while he worked at the Chicago Tribune.